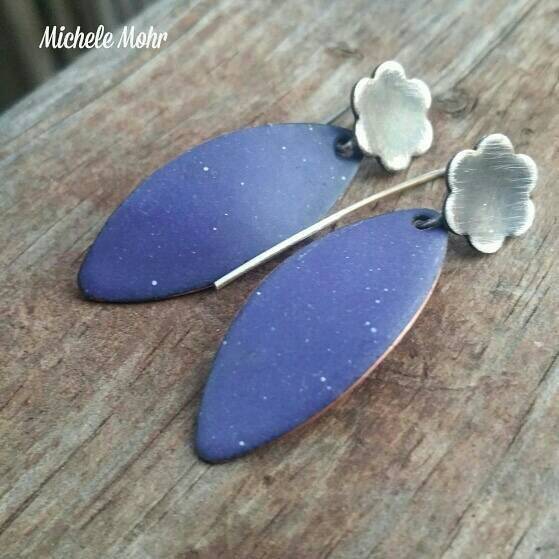 Kiln fired enamel (powdered glass) on copper leaf with handcrafted sterling silver flower and ear wires. Flower is oxidized, buffed and filed. 1.5" in length. 5/8" across at widest point.